Who Was Backstage At Summerslam? 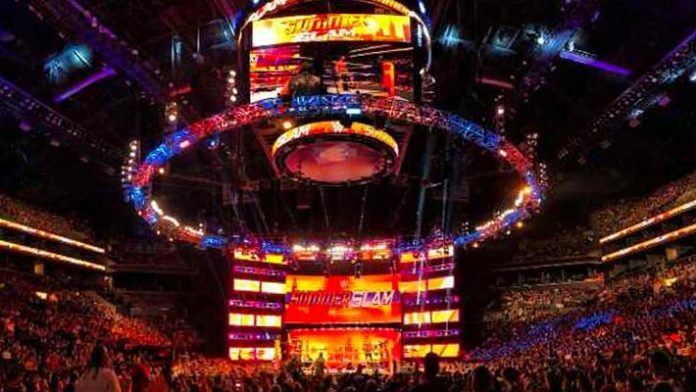 Home Wrestling News Who Was Backstage At Summerslam? Last night WWE presented their biggest event of the summer. As is often the case when the promotion is in the New York area, plenty of celebrities were backstage. Additionally, several wrestling personalities were backstage as well. Shane McMahon hasn’t been seen on camera for several months but was backstage last night. Ric Flair was also on hand to witness his daughter, Charlotte Flair, win back the Smackdown Women’s Championship. Bayley and Sasha Banks were both backstage at Summerslam too. The other 2 members of the 4 Horsewomen of NXT were involved in the Smackdown Women’s Championship match. David Arquette was everywhere around Summerslam this year and it’s assumed he was backstage at some point as well. Teddy Hart was backstage. He wrestled for Joey Janela’s Lost in New York on Friday and was likely wrestling somewhere nearby on Saturday or Sunday as well. Additionally, it is being said that both Carmella and Charlotte’s ring-gear yesterday, which were both pink, were worn in honor of Jim Neidhart. Comedian Jon Stewart was at Summerslam but did not continue his rivalry with Seth Rollins. PW Insider is also reporting that Stokely Hathaway, a manager from EVOLVE, was also backstage.